Josh Fox, director of the “Gasland” documentaries, joins Ralph to discuss his ongoing battles with the fossil fuel industry as detailed in his one-man show “The Truth Has Changed.” And Constitutional scholar, Bruce Fein, tells us the important questions the Senate confirmation committee failed to ask Attorney General nominee, William Barr, about executive power. 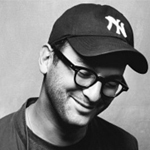 Josh Fox is the Oscar-nominated, Emmy-winning writer/director of Gasland Parts I and II. He is internationally recognized as a spokesperson and leader on the issue of fracking and extreme energy development. In 2017 he was awarded his third Environmental Media Association award for Best Documentary for his latest film How to Let Go of the World and Love Everything Climate Can’t Change, His most recent project and his first book is entitled “The Truth Has Changed,” which is also being produced across the country as a theatrical performance piece. 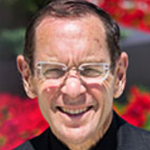 Bruce Fein is a Constitutional scholar, who was Associate Deputy Attorney General under Ronald Reagan. Mr. Fein has been a visiting Fellow for Constitutional Studies at the Heritage Foundation and an adjunct scholar at American Enterprise Institute. He has advised numerous countries on constitutional reform, including South Africa, Hungary and Russia. He is author of Constitutional Peril: The Life and Death Struggle for Our Constitution and Democracy, and American Empire: Before the Fall. His article on the William Barr hearing is entitled Eight Questions About Executive Power Trump’s Attorney General Nominee Needs To Answer. “Despite all the major legal issues concerning war powers – and people are worried about Trump initiating nuclear war on his own – there wasn’t a single question, not one from either a Democrat or a Republican about war powers. Which is stunning. It’s the most important power that the president claims. And not even ask a single question? It shows that they are unified in trying to run away from their Constitutional responsibilities, which is quite deplorable.” Bruce Fein on the Senate Confirmation hearing of Attorney General nominee, William Barr. While I support Fox and what he’s accomplished thus far, I have no sympathy for landowners in this country. They’ve financially pillaged renters and such for generations. Perhaps my basis for this is my reading of Capital volume 3, where Marx discusses ground-rent, differential rents 1 and 2, surplus profit which is the basis for this, and so forth. While Marx’s discussion revolves only around agriculture, I don’t think it’s a huge leap to be able to apply the same principles to another “cultivation” industry – fracking. Only difference is agriculture isn’t inherently dangerous as fracking, but as Marx discusses you still have lands that are more “fertile” than others in both agriculture and fracking, and location of the land (access to it, ability to ship to/from it, etc) is equally important. I do think at least a few of Marx’s principles in this volume that apply to agriculture can also apply to fracking. And in this section, Marx has zero sympathy for the extractors of ground-rent, the landowners. Nor do I. Re Bruce Fein’s points on War Powers Act and the lawless structure therein that would produce a massive *potential* for genocide, might I remind Fein that this country has in fact committed genocide before. The Native Americans for centuries, Japanese civilians in Hiroshima and Nagasaki, Vietnam, one might even be able to argue for a more recent example – the 2017 Nangarhar airstrike, in which the MOAB bomb, a non-nuclear WMD, was dropped thereby murdering nearly 100 people. The American President doesn’t need a series of silly little laws to enable any genocidal tendencies, he’s been doing it for generations just fine. You should know this, Bill McKibben IS on notice as far as usage of the operatives ‘climate instability’ goes. During the 2018 Global Climate Summit in San Francisco last fall, I actually confronted him directly, compelling him to start using the operative ‘climate instability’. I don’t agree with everyone’s assertion—belief that America will go to war with Iran , especially under the Trump admn. ; there are some things to consider ; especially with the things that we know so far about the Trump admn’s affinity for Putin. Clintons cables that were released by Wikileaks stated that Iran gets missile gyros from Russia; Russia is an ally of Iran. So…war? How?